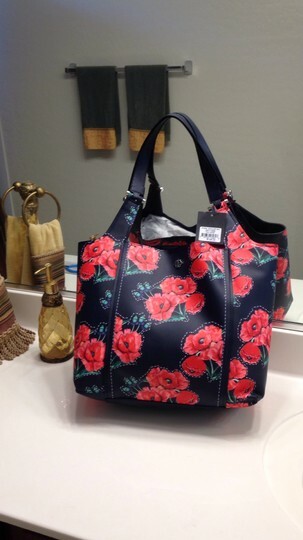 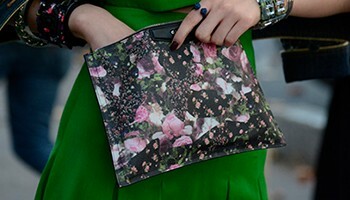 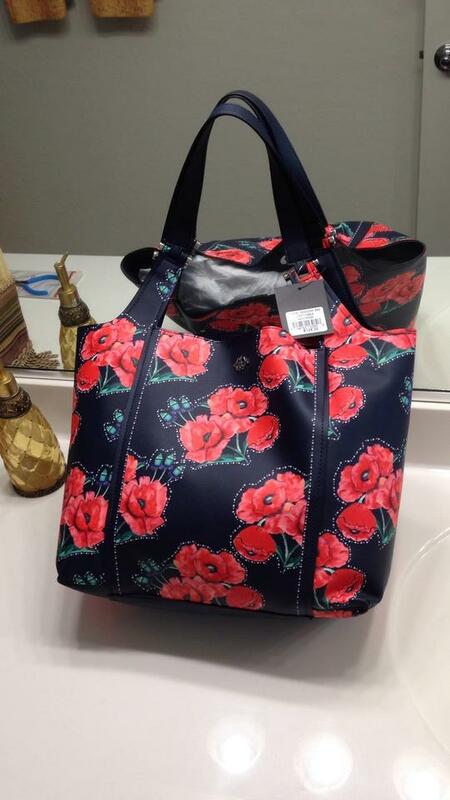 Nanette Lepore Navy & Red Floral Shoulder Bag/Tote. This bag is so much fun, it's bright and colorful with the red flowers on the navy background are just outstanding, there's a hint of green with a hint of purple. 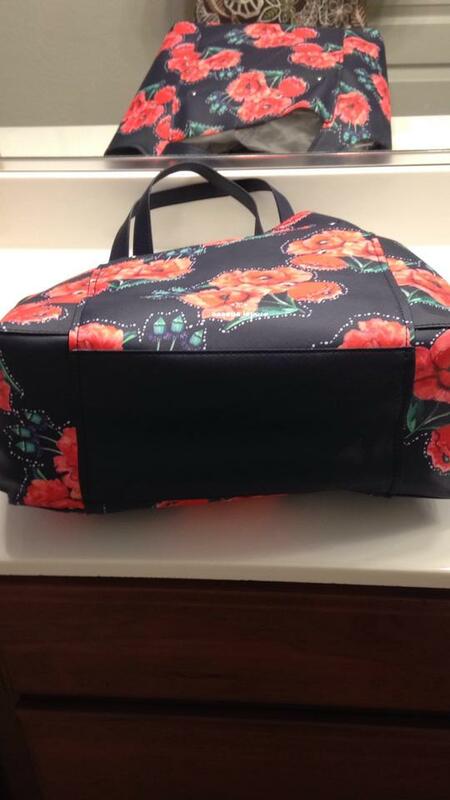 Bag measures 15 inches across, It is 13+ inches high and 6 inches wide. 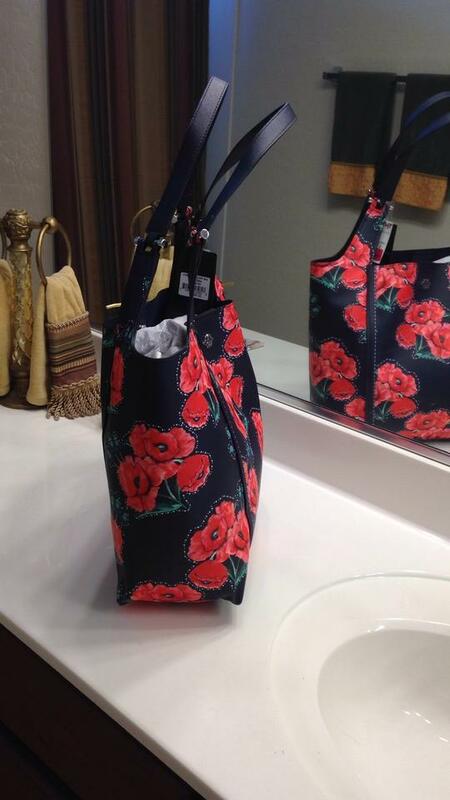 The drop is 10 1/4 inches. 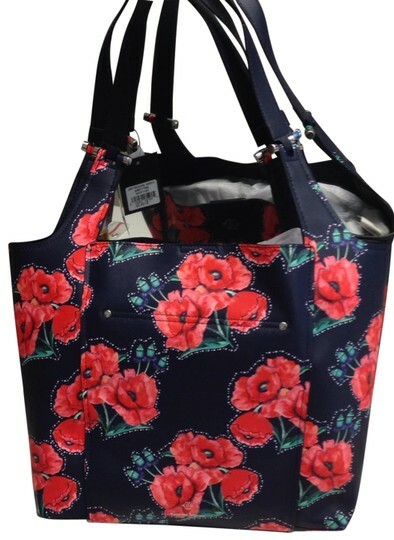 Interior features a faux navy suede and there is a zipper compartment, bag has a snap closure which is quite secure.